Carrabassett Valley, ME – A member of the crew preparing a mogul course for a competition at Sugarloaf this weekend died on Friday after losing his footing and tumbling down the ski slope. 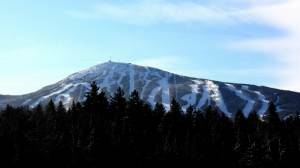 Carrabassett Valley Police identified the victim as Alexander Witt, 24, of Farmington. Witt was preparing the course for the Eastern Freestyle Tri-State Championship on Sugarloaf’s double-black Skidder ski run when the incident occurred at around 10 a.m. this morning. Witt was pronounced dead a short time later at the Sugarloaf First Aid Clinic. In the wake of today’s fatal accident, Sunday’s moguls competition at Sugarloaf has now been canceled. Investigators with the U.S. Occupational Safety and Health Administration (OSHA) are looking into Witt’s death.